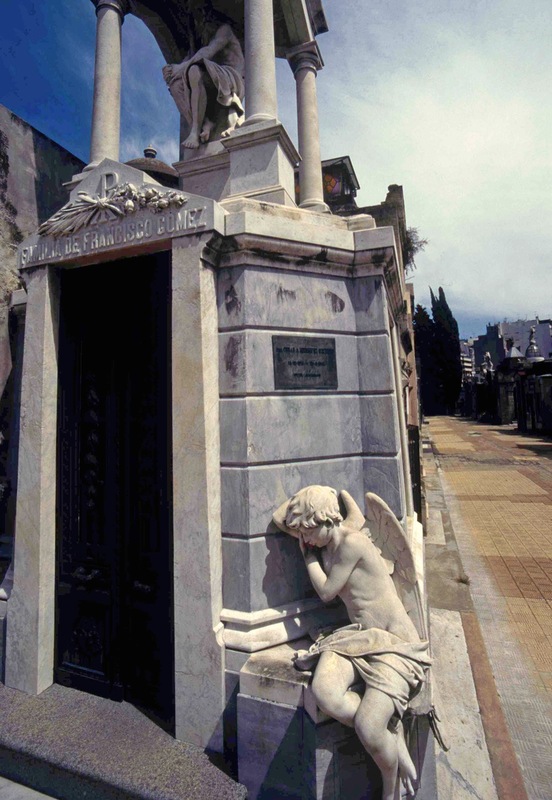 In Recoleta, they often die as they have lived — much like Oscar Wilde said of himself — beyond their means. 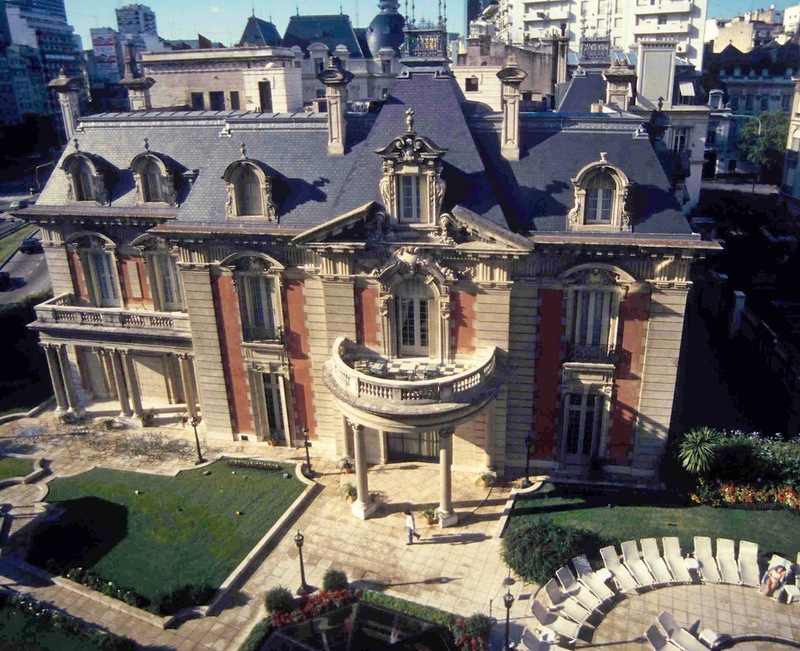 Buenos Aires’ most prestigious suburb, Recoleta, has its own exclusive necropolis where row upon bankrupting row of marble vaults accommodates the dusty repose of the city’s elite. Lowering the tone by octaves (according to some) is the tomb of Eva Peron, the infamous “Evita” who, although lauded in life by Argentina’s poor, is surrounded in death by the rich who loathed her then and reputedly still do. Buenos Aires is a bright city of melancholia set to a dance-step. A tango town of delicious decrepitude, of wealth now blown but for the nostalgia and crumbling mansions. This was the home of Jorge Luis Borges, jackbooted generals, Nazis on the lam, the Mothers of the Disappeared and footballer Diego Maradona. And now, for seven weeks, it is hosting Madonna who’s here to channel Evita in the bio-musical of her life. 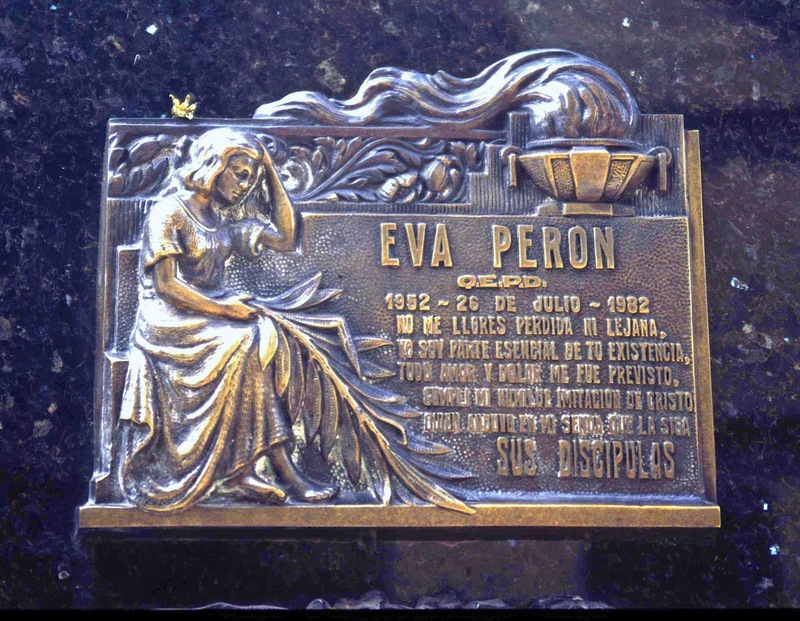 Eva Duarte Peron, the second wife of Argentine President General Juan Peron, died at age 33 in 1952. She divides Argentineans in death as she did in life: some think of her as a near-saintly friend to the poor while others consider her little more than a social-climbing tart. Heroine or whore? Who could be better cast in this deified-demonised contradiction than the artist formerly known as Ms Ciccone, who’d made a career of tweaking the horns of a similar dilemma — starlet as faux harlot? And there I was with a hotel room overlooking hers. The brush with fame was wasted on me. As a photographer, I make a lousy paparazzo. Stalking soi-disant celebrities through a 500 mm lens would bore me witless. I was there to find a city of coffee and glory, debt and plazas — not for celeb sniffing. Had I wanted the latter, the rather more talented Robert Duvall was also in town, shooting the movie Eichmann. His Hollywood production crew was delighted that Madonna was drawing all the rubberneckers. Benign fate delivered me a sixth-floor room in the Park Hyatt hotel. My windows looked straight down onto the hotel’s exclusive annex known as La Mansion. This restored, turn-of-the-century millionaire’s pile is a Louis XIII-like confection of marble, oak and chandeliers. The likes of Keith Richards and media magnate, the late Kerry Packer, used to stay there, and now it was Madonna’s turn. She occupied the entire top floor of the opulent three-storey Mansion in a suite costing $6,000 a night. From my considerably cheaper room, I could look down on her bodyguards — blokes built like brick outhouses with bow ties — patrolling the gardens of La Mansion. Their main task was to repel sorties of gleeful, chanting, Argentinean teenyboppers. On Madonna’s top floor, the louvered French windows that opened onto a patio were sometimes left alluringly ajar, their gauzy curtains flicking in the evening breeze. Soft lighting glowed within the suite. Yes, I confess, I peeked. No — in three days I didn’t once glimpse the Immaterial Girl. However, late one night I saw someone stepping onto the balcony to drink in the night air. I strained for a better look. Was it her? Nah. Whoever it was looked closer to Kerry or Keef than Madonna. There’s more to Buenos Aires than starlets, juntas and a steamy dance-step. This city of Belle Époque elegance and vast boulevards (its Avenue Ninth of July, 16 lanes wide, is the world’s widest city street) is like no other Latin capital, from the candy-coloured houses at Caminita to the centre’s grandiose edifices. 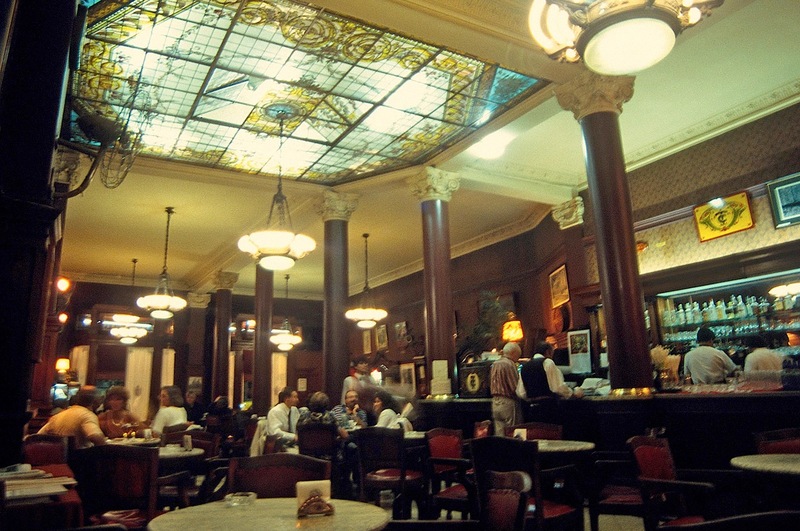 The coffee is excellent, as are the coffee shops such as the famous Cafe Tortoni, founded in 1858 and once patronised by writers like Borges, Lorca and Pirandello. The 19th and early 20th century wealth — generated by the export of pampas beef, mutton and wheat — that created this New World melding of Paris, Rome and New York must have been astounding. The steaks are as large as your place mat. The taxis are metered and the public buses are good, but the walking is even better. Which is what I did, letting the city’s vast, flat blocks crowd me with their memories. But, a sunlit city with the grumps, I thought at times. Porteños, the inhabitants of Buenos Aires, are said to be famously unhappy and to have two addictions, coffee and psychoanalysis. What’s the problem, I muse. A century ago, this was the eighth-richest country in the world. Its patrimony was then squandered by a string of venal generals and feckless politicians — sometimes one and the same person. Many of the capital’s sumptuous old buildings are now in pleading need of maintenance but, for a dilettante blow-in who is walking its streets, the flaking patina of their history rubs off, almost literally, on one’s elbows. The first Spanish settlement here was established in 1536 on the banks of the Rio de La Plata — a name so much lovelier in Spanish than its lumpenprole English rendition, River Plate. The British attempted a takeover in 1807 and were booted straight back out, while the Spanish colonial masters received their own marching orders a few years later. By the turn of the 20th century, this was the largest city in Latin America, with massive immigration adding German, Welsh, Basque, Irish, Italian and English blood to that of the earlier Amerindians and Spaniards. 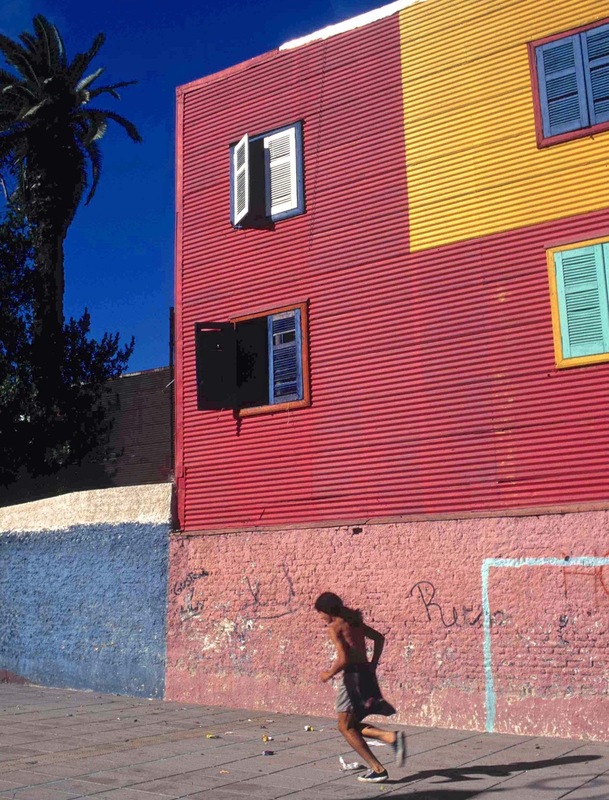 In the harbour suburb of Boca (where Maradona started his football career at Boca Juniors club) one old street has been reborn as a walk-through art galley. 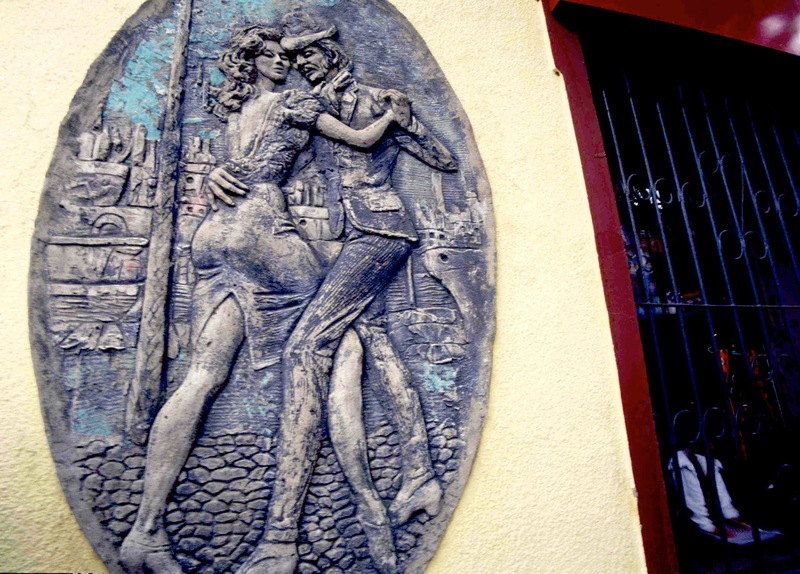 Closer to an alley than an avenue, Caminita is more notable for its buildings — multi-storeyed structures made of corrugated iron and painted like Rubik’s Cubes — than for its art. These days the latter is mostly kitsch imagery of zoot-suited dandies with pomaded hair and bedroom — if not bathroom — eyes, intensely entangoed, loin to loin, with slinky dames in slit skirts. And then there are the Porteños. Almost 40 percent of Argentina’s 44 million people live in greater Buenos Aires. Beyond the grand edifices and touristic tango clubs, it is the Porteños who make the place real, give it its edge. ‘Personality’ here means the triumph of both substance and style: everywhere I see people with (for want of a more precise term) a defiant individualism, plus a glint in the eye. Blame (or thank) the coffee or the neuroses? Who cares? In all, a people greater than the sum of their clothing labels. At an outdoor cafe in Recoleta on a crowded, sunny Sunday afternoon I catch a glimpse of who-gives-a-damn pleasure that is at once intensely private and public — the kind of thing you’d never see in other, more self-conscious capitals. A well-groomed, sixtyish woman wearing shorts sits with her bicycle propped nearby. A bottle of mineral water and a coffee half-consumed are on her table. Her tanned midriff is bare and her sneakered feet are up on a chair. A partly smoked cigarette lingers in one hand, and her eyes are closed in semi-ecstasy as the Buenos Aires sun pours down like benediction. © GLENN A BAKER, JOHN BORTHWICK and DAVID LATTA 2018. All content on this website is copyright. You may not reproduce or communicate any content without written permission of the copyright owners. PLACE ODDITY Blog at WordPress.com.